Bulldog Licensing has announced two new licensees for its Enid Blyton programme in the form of Gibsons and The Lagoon Group. Gibsons will be producing puzzles based on the works of the world-famous children’s author and The Lagoon Group is on board for toys and games, including card and board games. Enid Blyton’s best-known work is The Famous Five series, but her titles also include Malory Towers and The Secret Seven. Her books have delighted successive generations of British children, sold hundreds of millions of copies, and regularly feature in the top ten list of the best-selling authors in the UK. Enid Blyton also has huge international appeal and is the fourth most translated author in history – after Agatha Christie, Jules Verne and William Shakespeare. 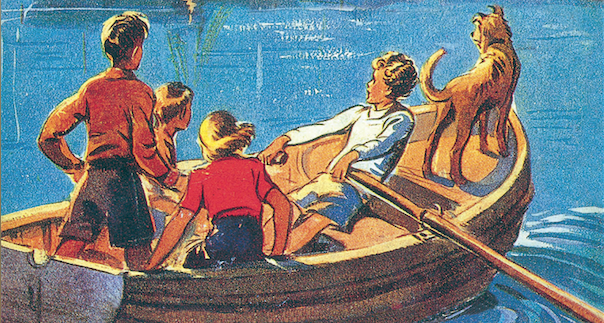 Bulldog Licensing is launching The Famous Five programme this year to coincide with the 75th anniversary of the first book, with greetings cards, stationery, and gift products all on the way. In addition, a series of tongue-in-cheek Famous Five books for grown-ups has been a publishing sensation – regularly topping the bestseller charts.